Welcome to Ineia Village Market, which is set in the picturesque newly revamped village square overlooking the Akamas peninsular which has fabulous panoramic views of the Cypriot countryside. The Ineia Village Market runs every third Saturday of each month commencing on Saturday, 16th March from 9.00am to 1.00pm with a diverse mix of locally produced, handmade and imported products, including locally handcrafted woven baskets from the Ineia Village Museum, local honey, halloumi and also a delightful mix of pies, cakes, chutneys, healthy curries, sweets, natural products, soaps, candles, mosaics, woodwork, clothes, jewellery, cards, gifts, something for everyone and so much more. Various hot food cooked fresh on the BBQ and hot and cold drinks are also available to eat in this beautiful setting. The Ineia Village is nestled between vineyards and takes its name from the word ‘inos’ which translates from ancient Greek into wine. The Village is known famously though for its handcrafted basket weaving which is still made in the traditional way, an inspiring skill which has been passed down from generations and can be seen in the local Ineia Basket Museum just a minute walk away from the Ineia Village Market square. More Information can be found on their Facebook Page. So don’t miss out and take some time to visit the beautiful village of Ineia, a morning out not to be missed. 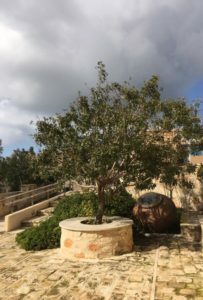 From perusing and buying local market produce and a chance to see traditional basket weaving at the Ineia Basket Museum to taking time out to sit and take in the wonderful views and atmosphere Ineia has to offer. Stallholder Enquiries please call 99073561.